There are many cleaning and coating products on the market today. Many of these, as you probably know, do not do what they say on the tin. Many of the remaining ones are full of hazardous chemicals that endanger the health of you, your family, your pets and the environment. At ECO.3 we set out with one specific aim in mind. To create a range of product that is ECO-RESPONSIBLE yet at the same time, work more effectively than the competitors products. Interestingly along the way we discovered that no other UK Company produced a cleaning product that does not require their ingredients to be listed on the label. They all use ingredients that are above the regulatory required level. Our ingredients do not contain any animal derivatives nor would we ever dream of testing our products on animals. WAW…ECO.3 is therefore the only cleaning product that could be certified as ‘TRULY GREEN’ – ‘ECO-FRIENDLY’…you may have seen these words being used on other products but if they have to list their chemical ingredients then they are NOT GREEN or ECO-FRIENDLY. We do not wish to frighten you but this is a fact…94% of scents used in cleaning products can cause cancer. It’s no wonder why the rate of cancer is growing more rapidly than ever before. Our customers, however, demand that we produce products that contain a scent. After all the market expects that if a bathroom has been cleaned, it must also smell clean and fresh. 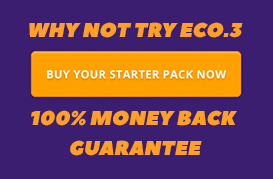 So what makes ECO.3 different? Therefore, the research and development team at ECO.3 have developed a natural based cosmetic quality scent that is NON-CARCINOGENIC and NON-ALLERGENIC… ideal for sufferers of asthma and associated conditions. All our research, however, did not bring us much closer to producing a product that could compete with the products containing nasty hazardous chemicals. Perhaps some of you have tried other ‘GREEN’ products and found that they fail on performance. We had to look further outside the box, look for something that would turn our liquid into a magical potion that cleaned as well as, if not better than the toxic competition. Dirt, soiling and dust are all negatively charged. These are lifted easily with a positive microfibre cloth. In other words negative dirt is attracted to positive microfibre – much like a magnet. Cleaning products are positively charged to attract the negative dirt. Thus it makes any residue left on the surface positive. This makes it difficult for the microfibre to lift it away with attraction alone. In addition, since the residue is positive, it attracts more of the negatively charged dirt – so your surfaces get dirty again very quickly. By making ECO.3 negatively charged, using modern manufacturing techniques to make the molecules small enough to migrate through the dirt, we create a super negative charge that makes it much easier for the microfibre cloth to pick up. Better still, we also discovered that after cleaning, which left the surface more clinically clean than the traditional chemicals, the surface kept cleaner for longer. This was due to the dirt not being attracted to a positive surface. Our prayer had been answered. 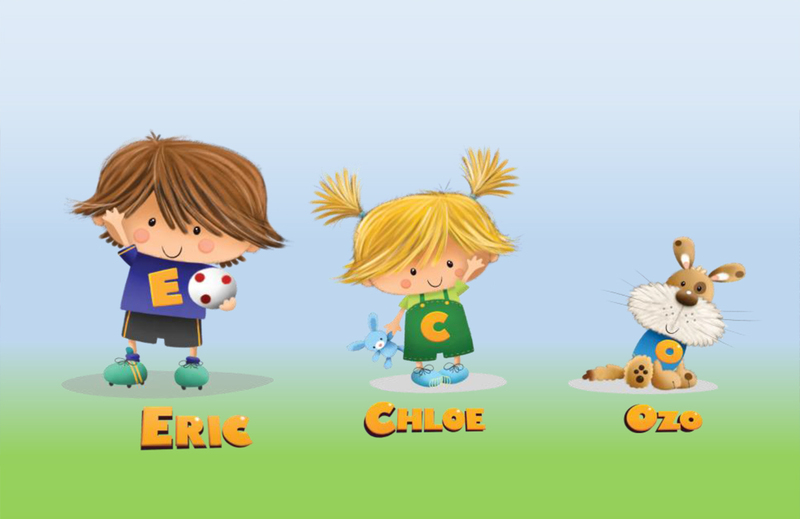 Not only do we have an eco-responsible, non-toxic, child and pet safe cleaning product, it actually cleans better and stays cleaner for longer. So the question ‘So what makes ECO.3 Different?’ we believe has been answered. 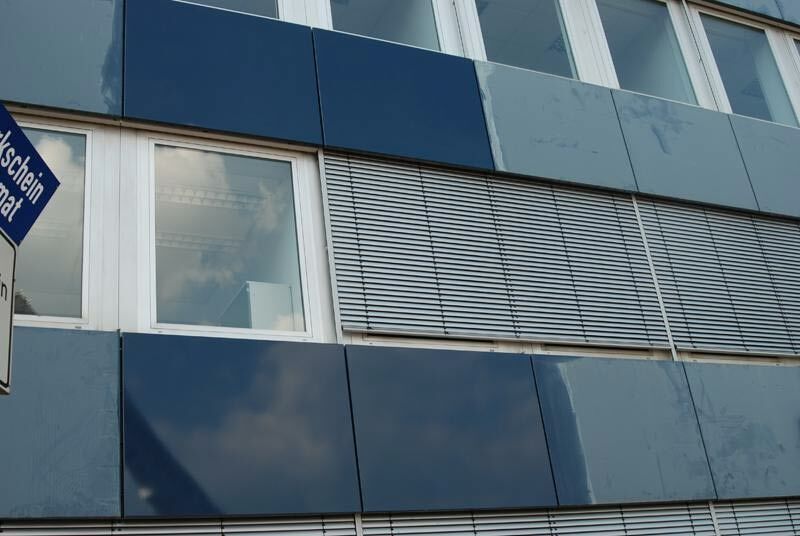 However, having solved the million-dollar question, we turned our attention to our surface protection coatings. Using the same principal of smaller molecules migrating though into the deepest crevasses of the surface and bonding to this we were able to produce coating that would not only perform better than traditional coatings but would last for longer, be safer and cover a great deal more area than traditional coatings. Our coatings do not detract from the original look of the surface but enhance it, making it easier to clean and maintain and stay looking like new for longer. Using the latest technology and manufacturing techniques our products are guaranteed to perform better than traditional coatings with a much thinner coating application. As with all things, a superior coating has more expensive ingredients and so costs a little more. This is more than compensated for by the higher performance which outlasts products made by our competitors. 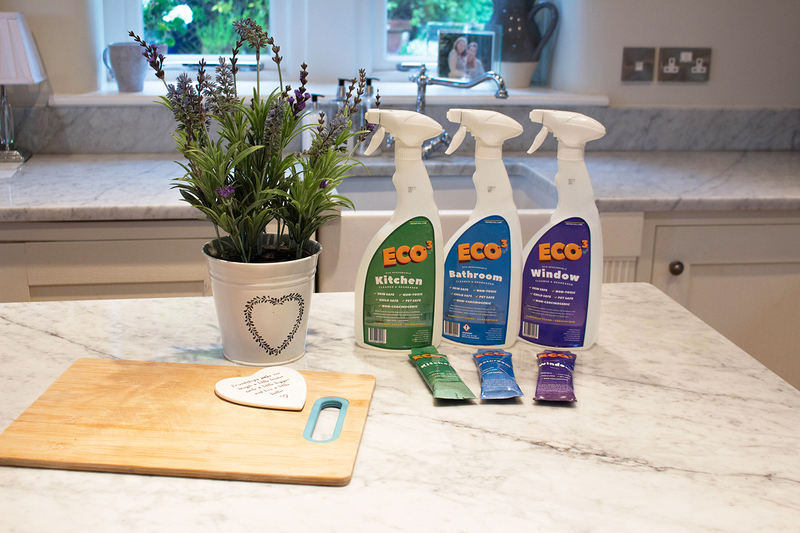 So ECO.3 are the UK leaders in ECO Cleaning and Coating producing products that don’t cost the earth, do not contain hazardous or toxic ingredients that may affect the heath of your family and pets or destroy the environment, rivers and wildlife. However, we did not stop there. We were very anxious to reduce landfill, to save on plastic waste in order to protect our oceans and to reduce the carbon footprint in all we do. Above all we wanted to produce a delivery method that would be more environmentally sound and would be less expensive for the consumer. We ticked almost all our boxes…the last box was to ask the consumer if they liked the products. 98/100 said they loved the products and would continue to use them. One customer wanted to continue using her original product because she “preferred the scent” and one customer believed that if she did not use a strong chemical then she could not understand how she could achieve a clean surface. You can purchase one years supply of Bathroom, Kitchen and Window cleaning products from our online shop at less than £1.00 a week for the lot. ECO.3 have the ETHICAL COMPANY and ECO RESPONSIBLE CERTIFICATION. We also have many of our products registered by the Vegan Society. We are also delighted to announce that our Charitable Contribution Program donates net 20% of all sales to your dedicated registered Charity. See our website for further details.